President Harry Truman signs armed forces unification bill. Chicago: “War and Peace in the Nuclear Age; Weapon of Choice, The; President Harry S. Truman signs unification bill,” 08/10/1949, WGBH Media Library & Archives, accessed April 22, 2019, http://openvault.wgbh.org/catalog/V_A68E54B82068490B84960A242BFC3CD8. 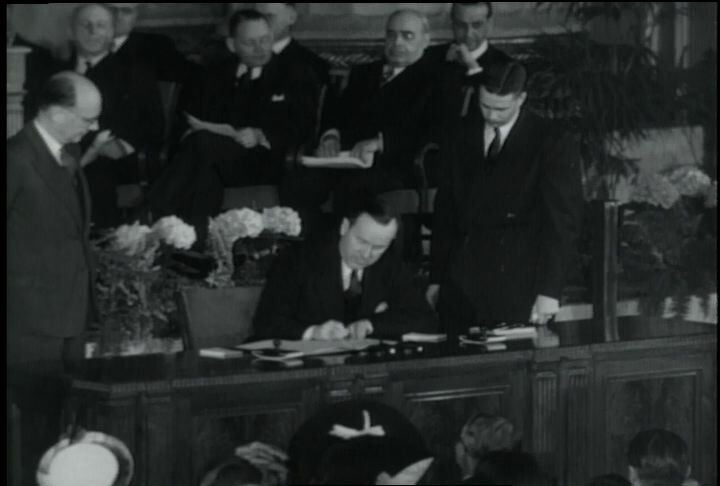 MLA: “War and Peace in the Nuclear Age; Weapon of Choice, The; President Harry S. Truman signs unification bill.” 08/10/1949. WGBH Media Library & Archives. Web. April 22, 2019. <http://openvault.wgbh.org/catalog/V_A68E54B82068490B84960A242BFC3CD8>.